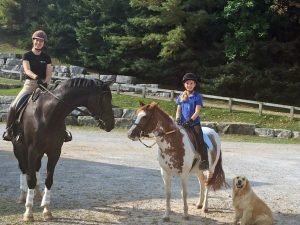 Home / Horse Fun / Tattoo Enjoys a Hack! Belinda and her daughter Sophie going for a hack today: "Tattoo LOVES Penelope. He could not take his eyes off her!"